Wanted Dead Or Alive. Wanted Poster. Wallpaper and background images in the monkey d. luffy club tagged: monkey d luffy luffy pirate king one piece pirates straw hats anime wanted dead or alive. LOL Usopp in the background XD! 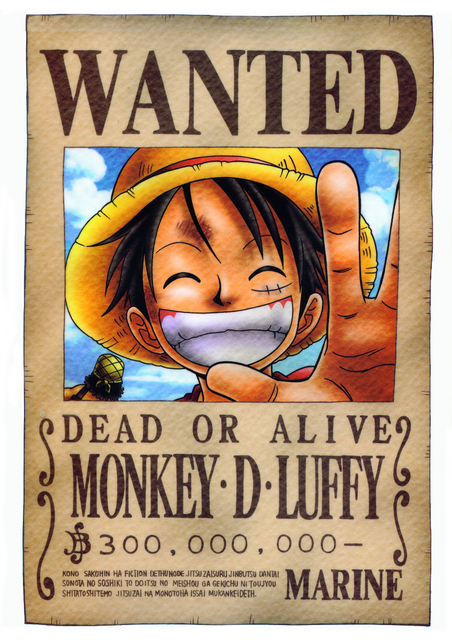 I love that Wanted poster! I hope that they never change it! It's just too funny!! !